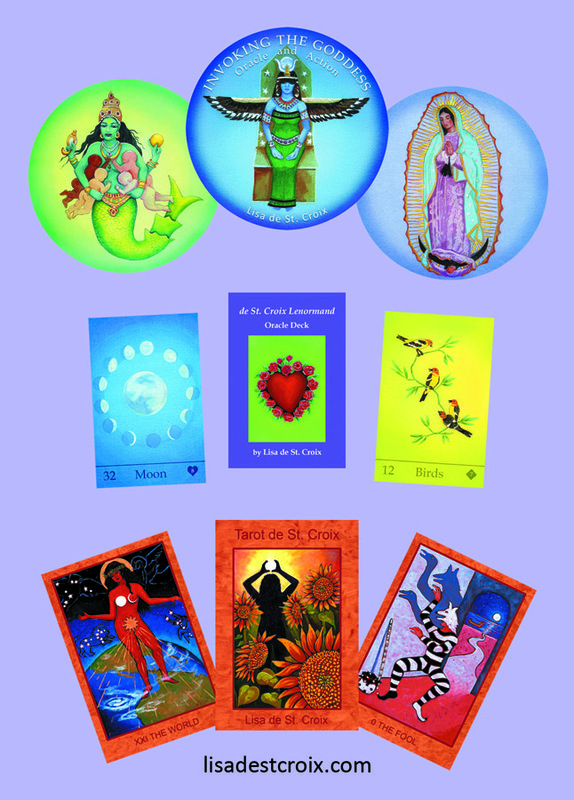 Card after card, you accumulate this realization that you’re looking at brilliance. 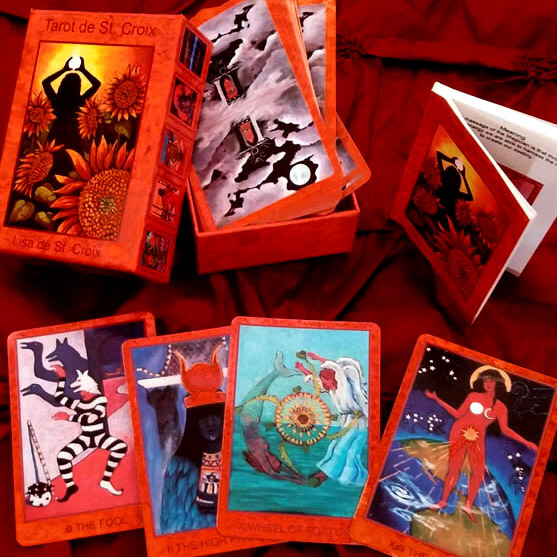 de St. Croix Lenormand is a contemporary deck that offers a new look at a 200 year old divination system, that provides answers to your questions through 36 oracular symbols and cartomancy. The original cards were painted in layers of watercolor washes that gives a vibrant luminosity to the cards. The images are universal and easy to understand. Lenormand began in Germany as the Game of Hope. The deck gained popularity throughout Europe and was later named after Madame Lenormand – a famous French psychic who read for Josephine Bonaparte. 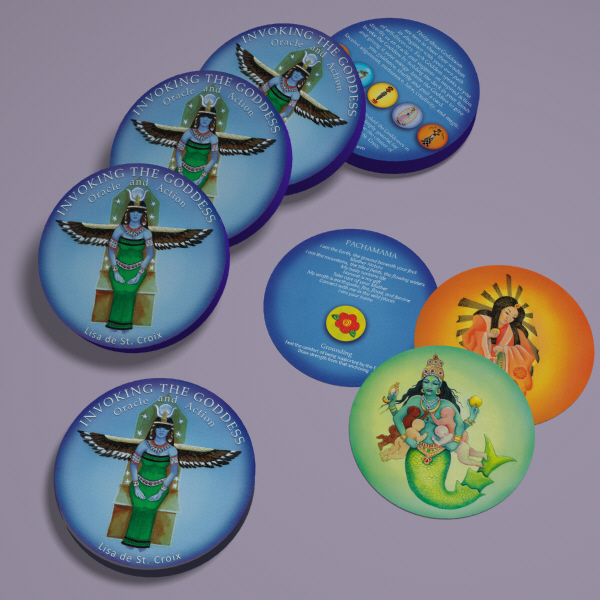 The cards are 2.25″ x 3.5″ printed on glossy card stock. They come with an instructional sheet housed in a clear box. 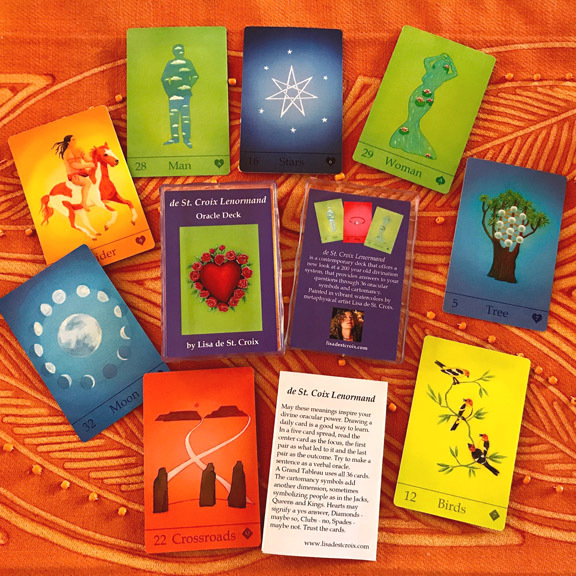 Using the decks she created, Lisa offers readings to give you insight on a question that you might have or simply see what the cards have to tell you. 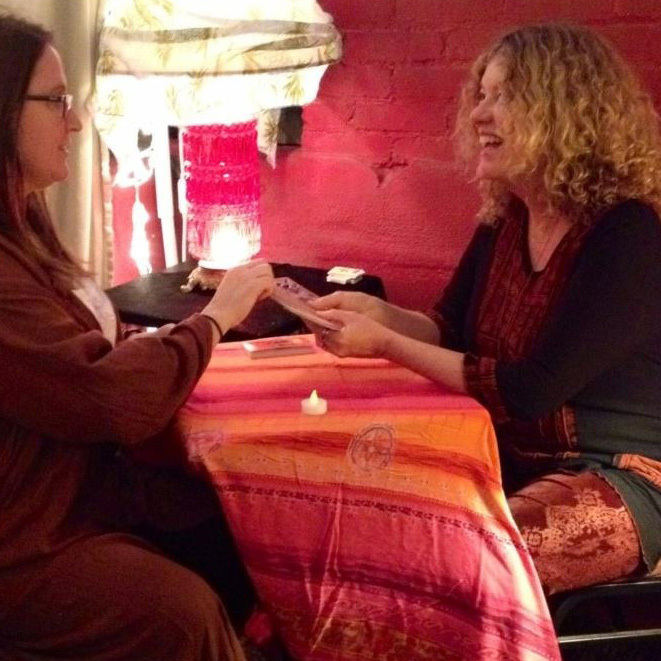 Lisa can meet in person or do readings through email, Skype or on the phone. 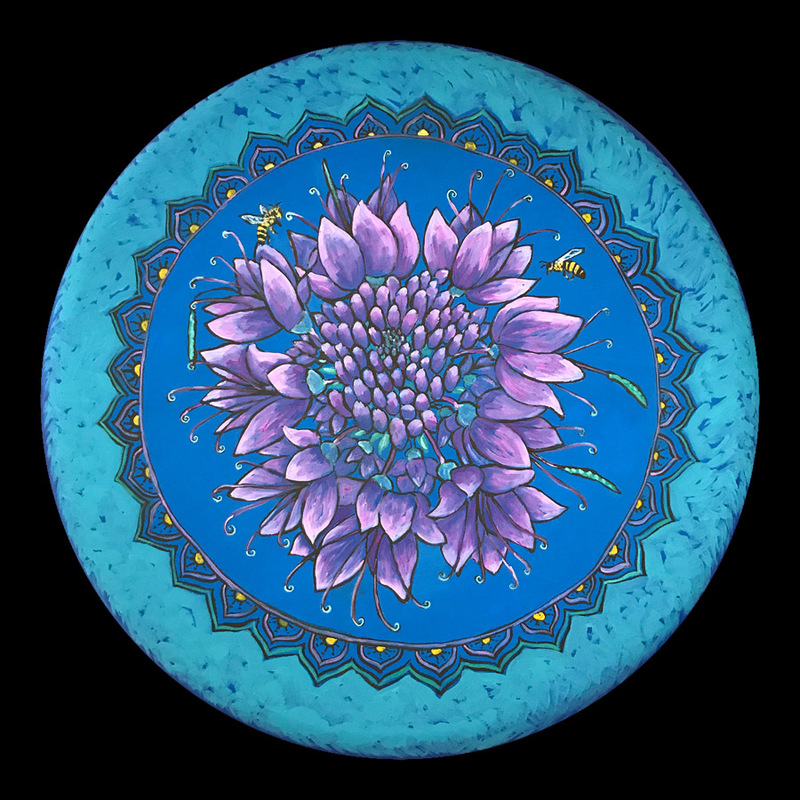 Once you have purchased a reading Lisa will email you to set up an appointment. Gift certificates are available and can be mailed directly to your recipient. 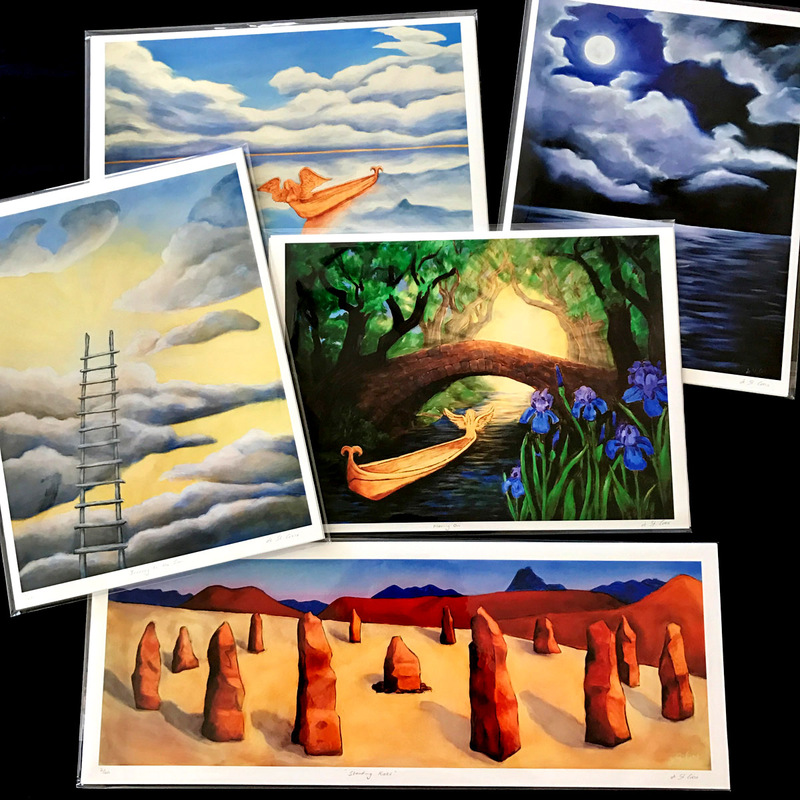 Museum quality, signed and numbered, limited edition prints of any of Lisa’s paintings are available. Prints are archival ink on heavy watercolor paper. 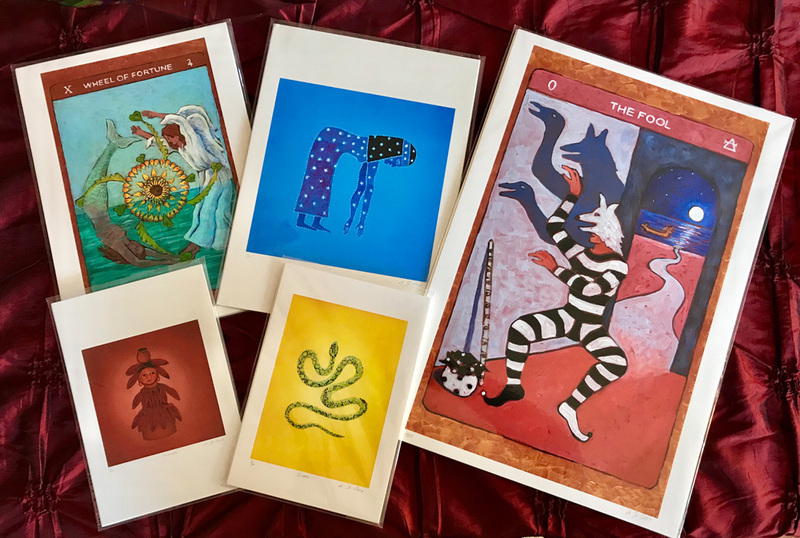 Prints from the oracle paintings: Invoking the Goddess, Tarot de St. Croix and de St Croix Lenormand.